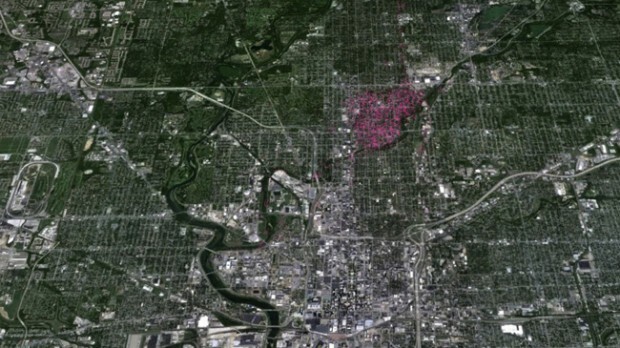 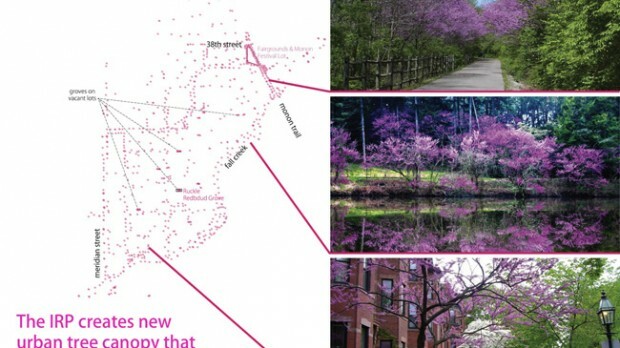 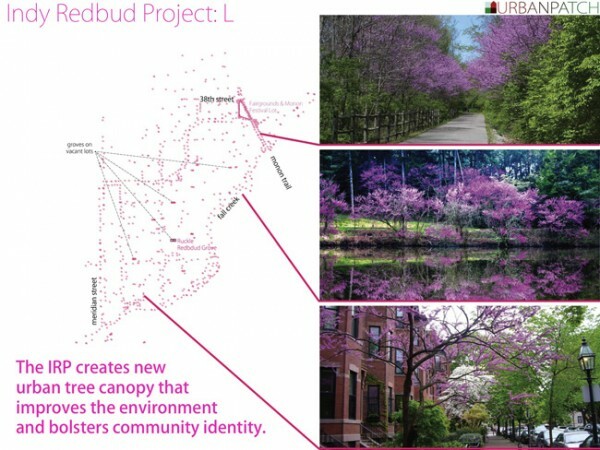 The Indy Redbud Project is a community identity + environment proposal. 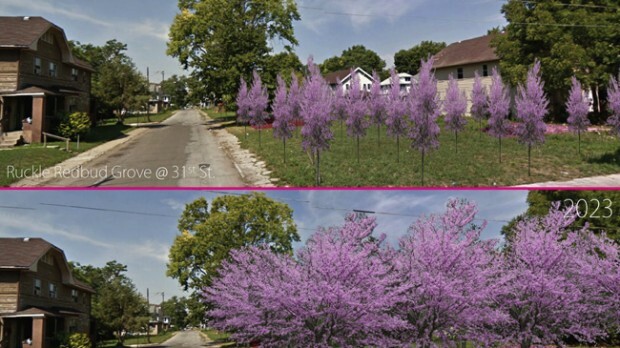 We will start by taking a vacant lot (or lots) in the Mapleton Fall Creek area and planting a grove of native redbud trees. 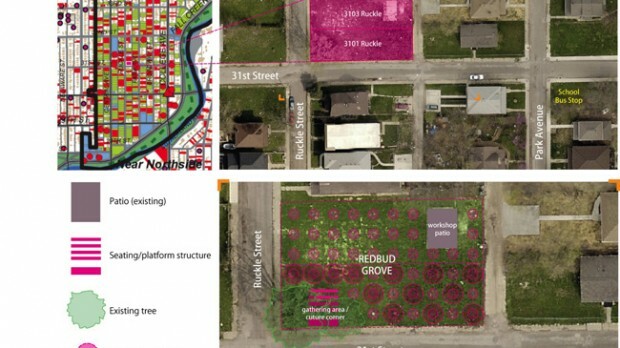 Over time we would engage a number of partners from neighborhood associations and development corporations to individual homeowners and environmental groups to expand the program to plant the trees across the neighborhood and along the Monon Trail and Fall Creek Parkway. 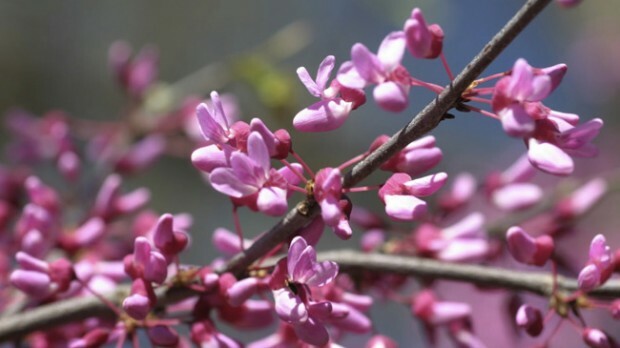 As the trees mature in a short time, they will create an annual springtime display of beautiful flowers and reinforcing the community’s unity and identity. 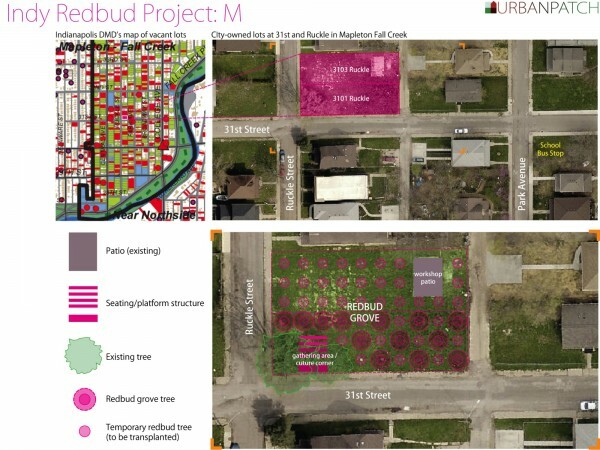 In the future an underutilized State Fairgrounds parking lot located at 38th Street and the Monon Trail, by then surrounded by redbuds, could host an annual outdoor community event. 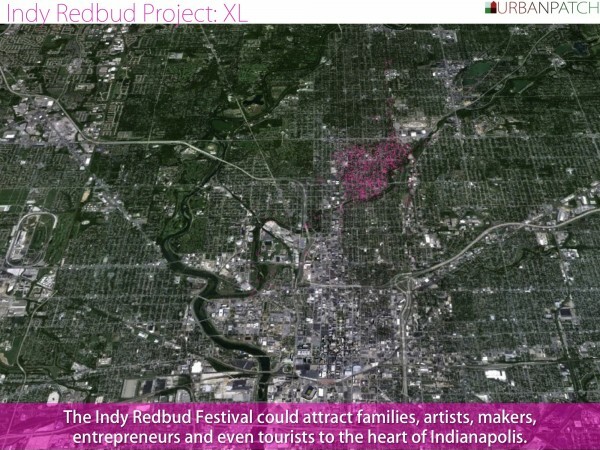 This event, the Indy Redbud Festival, can potentially attract families, neighbors, artists, entrepreneurs, and visitors to Midtown Indianapolis to a place that re-imagines and connects four of the city’s key urban connectors: Meridian Street, 38th Street/Maple Road, the Monon Trail and Fall Creek. 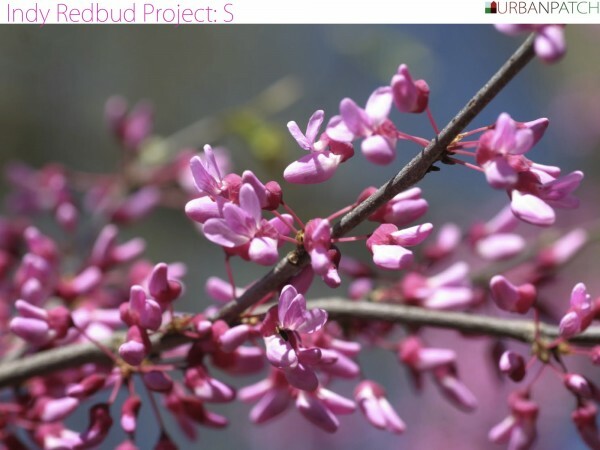 We are proud to have won an IndyHub 5x5Indy Re:Populate grant for $10,000 to help realize this project, and will begin our first round of planting at the Ruckle Redbud Grove in spring of 2015. 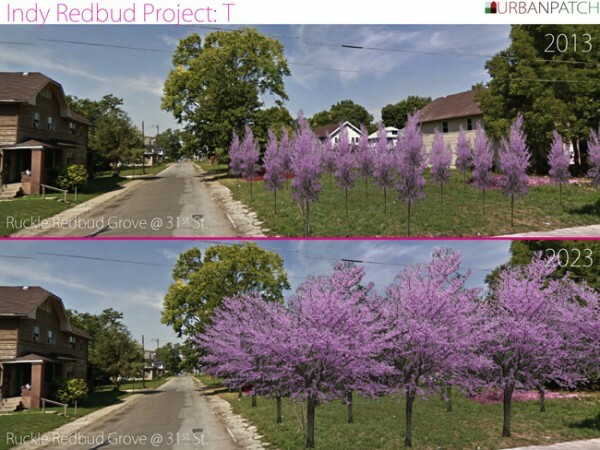 The grant was sponsored by the Christel DeHaan Family Foundation, Efoymson Family Foundation and The Indianapolis Foundation.